Hope everyone had a good Thanksgiving. 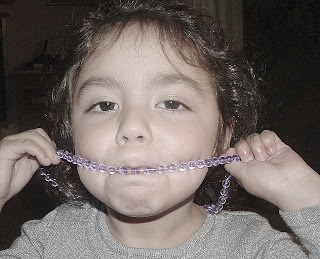 Gerardo was working so I was alone with the kids. We went to my mom & dad's house for our dinner. 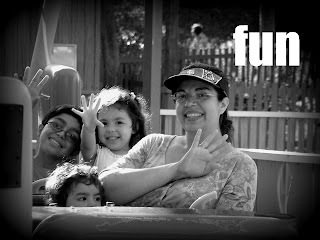 It was fun with the kids and we got super stuffed!! 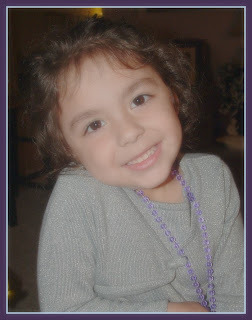 Martina is Aaron's "Mommy Number 2", he always wants to be with her & loves all the attention that he gets from her. 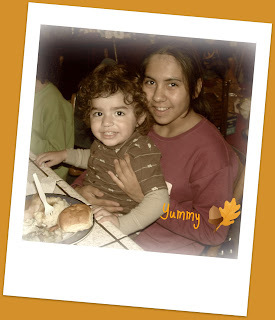 So, of course, he wanted to have his Thanksgiving dinner on her lap!! My Flores kids are some GOOD eaters!! I'm so lucky with them, they are not really picky and are always willing to try new things. 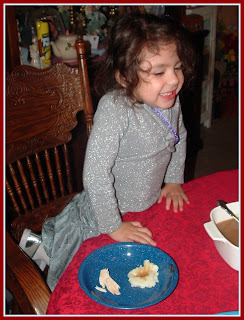 But, of course, Lilly's favorite part of Thanksgiving dinner was turkey & gravy. Aaron's favorite was the stuffing! Lilly is always being silly and she keeps us totally entertained all day long, especially when we are at my parent's house, she seems to get extra silly and loves to 'show off' when we're there. This year I was very happy to be celebrating Thanksgiving. We have a lot to be thankful for this year. Especially that I have my mom here with us, she has officially beat cancer and we couldn't be more thankful for that! I could not even begin to imagine my life without my mom so the past few months have been really hard on me & our whole family. 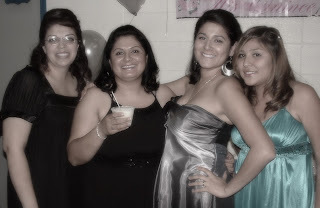 But thanks to God we will hopefully have my mom for many more Thanksgiving's to come!! We also have to give thanks for all the little blessings in my life. I have to remind Gerardo of this quite often, but we are very blessed & are very thankful to God for that. We have beautiful, wonderful, healthy children that are growing and blossoming. We have a roof over our heads, clothes on our backs, food on our table and all the extra's we could possibly want or need. We are thankful for Gerardo's career and thank God for keeping him safe. 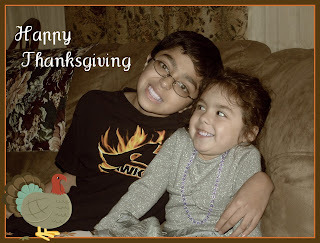 We are thankful for our family, friends. The wind, the rain, the sun. Basically we are just thankful for all the blessings in our life great and small. In August Gerardo had some police officer training in Long Beach so we all headed down to Southern California for a few days. 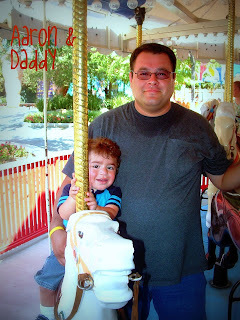 During the week we decided to take the kids to Magic Mountain, I hadn't been there for many, many years. It was really nice & tons of fun for the kiddos. 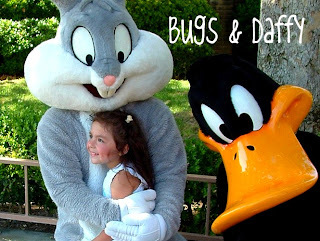 I was pleasantly surprised that Lilly was not afraid of the characters, she loves to pose with all of them. And even though Jacob is getting older he still likes to take pictures with the characters too, since he's a big cartoon-addict!! 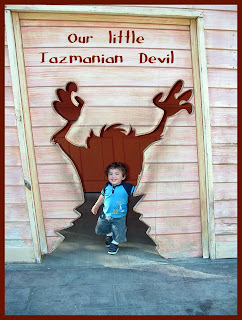 This picture cracks us up...so true, so true..our very own little Tasmanian devil!!!! hee hee hee!! The weather was good & we went on a weekday so we just walked right on to all of the rides, no waiting in line. That's one thing we've learned with amusement parks, we never go on weekends! 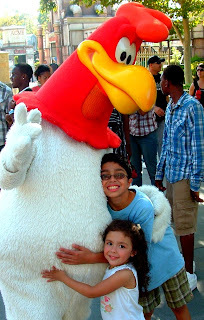 Click here to see all the pictures from Our Trip to Six Flags Magic Mountain! !